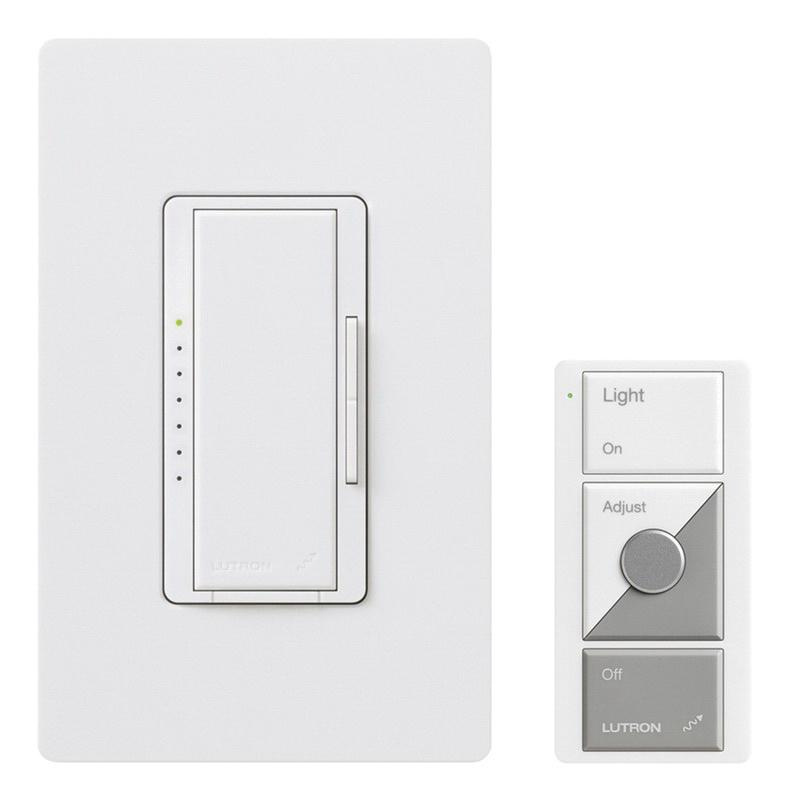 Lutron Maestro® Remote lighting control wireless dimmer in white color, has rocker actuator that returns light to your desired light level. It offers easy-to-operate tap switch that turns lights ON/OFF to your required light level. It has voltage rating of 120-Volt AC at 60-Hz The 1-Pole wireless dimmer in gloss finish, withstands maximum load of 600-Watts and works with incandescent/halogen lamps. Wall mountable wireless dimmer has ON/OFF functionality. Wireless dimmer measures 2.94-Inch x 0.3-Inch x 4.69-Inch. It is ideal for lighting control application. Wireless dimmer is UL listed.